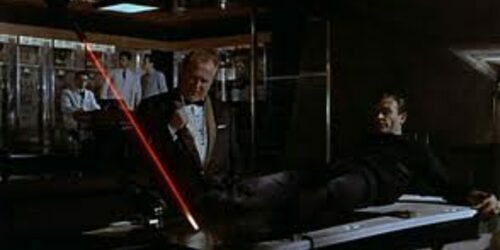 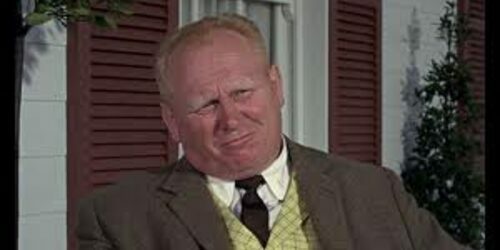 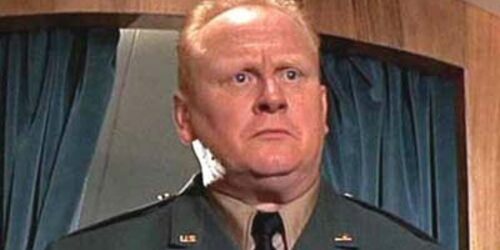 Auric Goldfinger is an eccentric millionaire who is obsessed with gold and the possession of it. 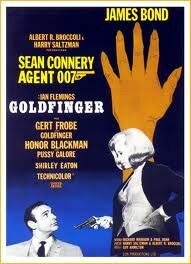 To this end he hatches an elaborate scheme to enter the U.S. gold depository at Fort Knox. 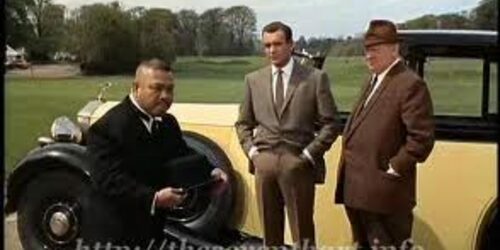 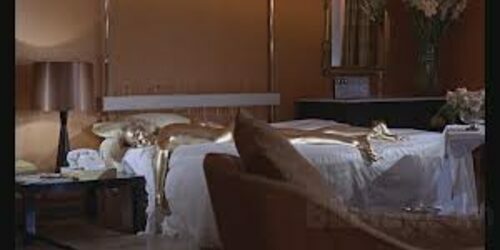 The film takes an interesting change from the book in that once inside the vault we find out that Goldfinger wants to destroy the gold rather than steal it. 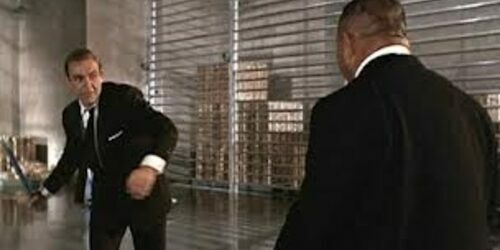 This action would thereby make his gold holdings infinitely more valuable. 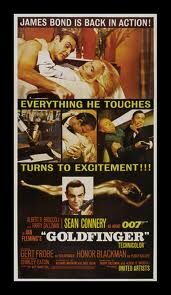 This film could be responsible for the strength of the Bond series to this day. 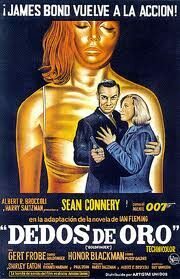 It had a much increased budget than its predecessors and started the trend of lavish production. 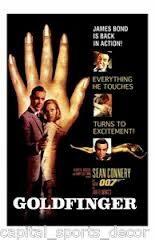 When released in 1964 it immediately became a phenomena as it wrapped up all that was good about a James Bond film into a neat package. 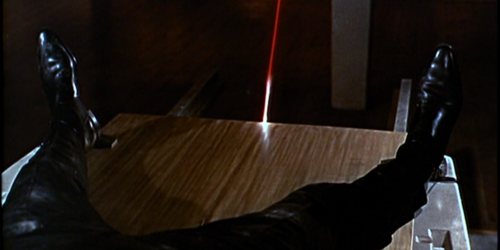 John Barry's score is one of the most famous and recognizable in any movie ever made. 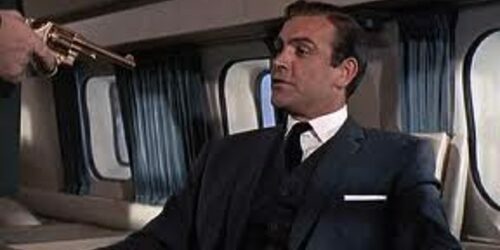 James Bond gadgets and the character "Q" became popular in this movie particularly with the use of 007's fully loaded Aston Martin DB5 ( complete with machine guns , oil spraying devices , retractable bullet proof shields and the ejector seat. 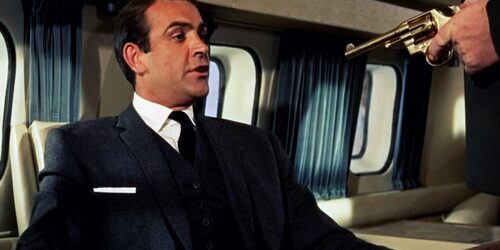 The film travels to Miami , London , Geneva and Fort Knox, Kentucky. 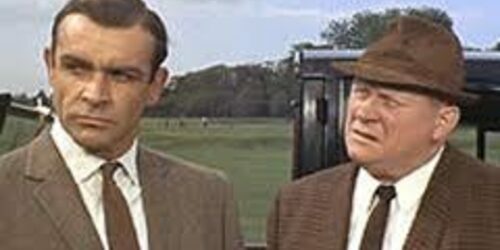 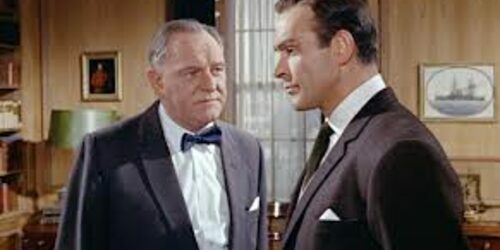 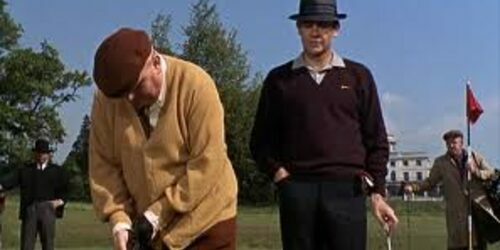 Goldfinger was played by Gert Frobe who was a popular German actor and spoke very little English. 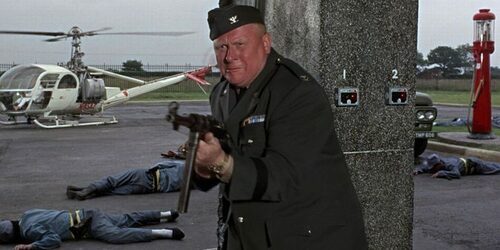 His voice was dubbed over by Michael Collins. 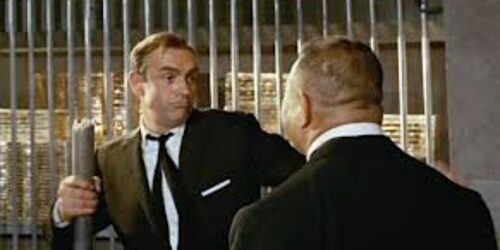 The film also featured the villain's most interesting sidekick in Odd Job. 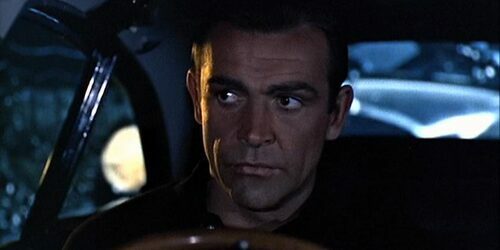 The movie is regarded by most as the best of the Bonds.